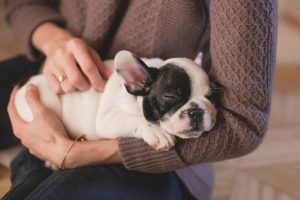 How to find a pet friendly apartment? Finding a perfect home in NYC can sometimes be very exhausting. Things get even harder if you want to have your pet by your side. Unfortunately, not all landlords like the idea of a pet in the apartment they rent. So, you will need to be devoted to your search and not give up easily. 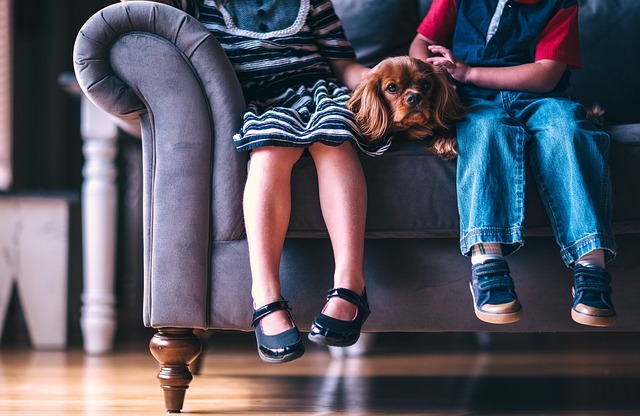 Here is what you should do in order to find a pet friendly apartment in which you and your fluffy friend will be comfortable and happy. Let’s start with the most important one. Don’t try to hide the fact that you have a pet in your apartment. Even though there is a small chance no one would find out about it, it is not a good idea. The whole point is to move into a new home stress-free without hiding your pet. You could end up with a stressed out and anxious animal. And if you love your pet, avoid this at any cost. Don’t try to hide your pet if you can’t find a pet friendly apartment. If you want to bring your furry friend to your new NYC home, first you will need to create its resume. You are probably thinking right now why would your pet need this. Well, think of it as if you were applying for a job. In order to get it and beat the competition, you will need a good resume. Hence, in order to impress your landlord, your pet will need a good resume, too. One resume should have details about your pet’s breed, age, size, medical information. You should also add to the resume if your pet has been trained or spayed/neutered. Even if you didn’t get the chance to find an obedience trainer for your pets, now is the perfect time to do so. And here is an extra tip! When creating a pet’s resume, ask your former landlords, or obedience trainers (if you have one) to give you a letter of recommendation. This will help your pet make a better impression. And, it will give you a better chance to find a pet friendly apartment. After you written your pet’s resume, the time has come to choose the best neighborhood for you, your family and your little friend. When we search for a home in NYC, the distance of playgrounds, parks and grocery stores plays an important role. But, if you want to find a pet-friendly apartment, you will also need to know whether there is any vet, park or a dog daycare center within walking distance. Remember, if a place is good for you, it doesn’t necessarily mean it will be good for your pet, too. 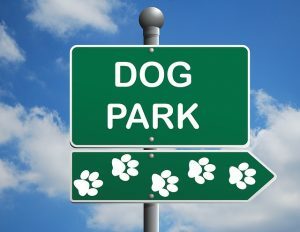 If you have a dog, your new apartment has to be close to a park. Sometimes finding an apartment in the Big Apple can be an impossible mission, especially if you are moving with your pet. There are certain online tools you can use to search for a pet-friendly apartment. They have the option to extract the listings which are not suitable for your needs. This way you won’t fall in love with a place where your lovely pet isn’t welcome. Also, it is better to look for private landlords. They are easier to negotiate with, in comparison to a building with a strict no-pet policy. And since you are already surfing the Internet, after you find the perfect home, visit some website of reputable moving companies, such as usantini.com and get yourself the best professional movers with just one click. Everyone knows that reputable movers are essential for a moving process, so make sure you find yours on time! Finding the perfect home doesn’t mean the job is done. You will need to contact your landlord and discuss with them your stay with a pet. If you are lucky enough, there will be no problems and you will just need to do one last step – find suitable assistance for your NYC move. Whether that assistance comes from professionals or your friends, it does not matter. What is important is that you are not alone in this, as we can all use some help here and there! However, in some case, things won’t go as smoothly. Apartments in NYC are mostly smaller than you would expect. This is why most landlords have a few restrictions when it comes to pets. The size of your pet matters – if you have a smaller pet, you have a better chance of getting the chosen apartment. The number of pets – fewer animals, bigger odds for you to find a pet friendly apartment. Aggressive dogs are usually not welcomed. Most of the time, landlords want to stay away from breeds like Pit Bulls, Dobermans, German Shepherds even though they can be the most lovable creatures. How to win over a prospective landlord? Getting the chance to live in a perfect apartment for your pet sometimes won’t be that easy. 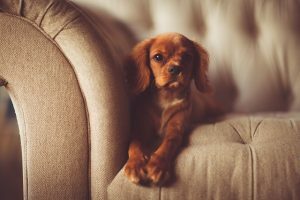 If the landlord doesn’t like the idea of an animal living in its home, here are a few tips you can do in order to change their mind. Pet deposit. Tell your prospective landlord you are willing to pay a security deposit. They can use this money to cover any possible damage your pet might make in their apartment. Pet training. There is a big chance your pet will win over a landlord if it has gone successfully through basic obedience training. Arrange a meet-and-greet. Before the meeting, make sure your pet is clean and looks good. Have your training treats with you just in case. Work together to make the best impression. You already know your pet is the greatest, but now it is time for your potential landlord to learn it, too. If none of the things listed above work, don’t get frustrated. There are a ton of homes waiting for you. Even if some of them aren’t that appealing at first, don’t forget you can always decorate your rented apartment and make it look cool. Take your time, stay positive and you will easily find a pet friendly apartment. It will be perfect, both for you and your furry friend, too. How to prepare a home for selling?